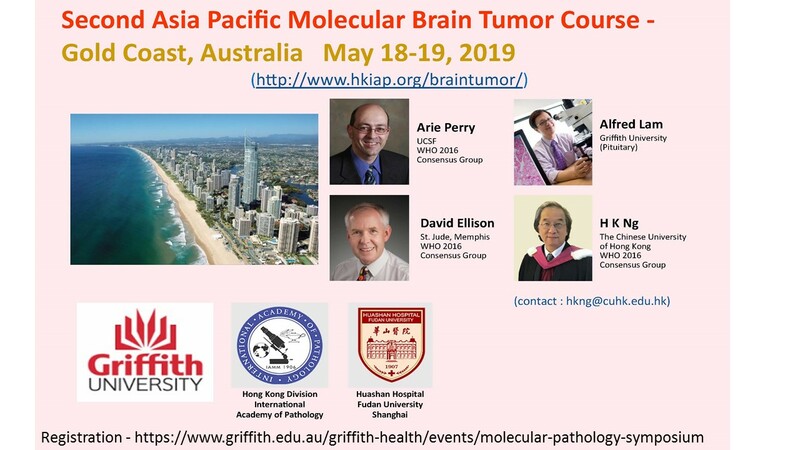 Please note the Second Asia Pacific Molecular Brain Tumor Course to be held at Gold Coast, Australia, on May 18-19, 2019. Gold Coast is of course also the ideal destination for a family holiday. I would appreciate if you can let your division members know or put on your website, thanks. I also appreciate if you would pass this message onto your current division officers if you already stepped down. Much appreciate.